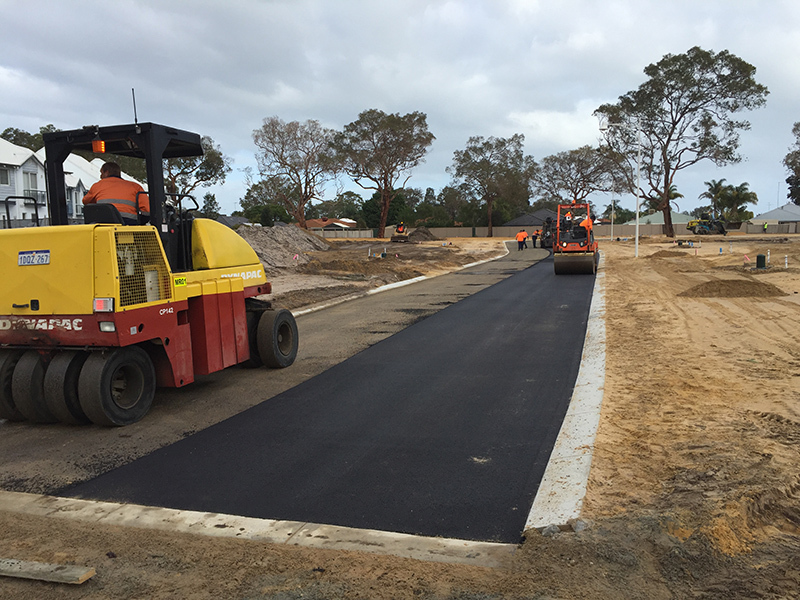 MGC Civil was engaged to deliver a full civil works package at the Natures Walk Estate Erskine for 4Land Property Group. 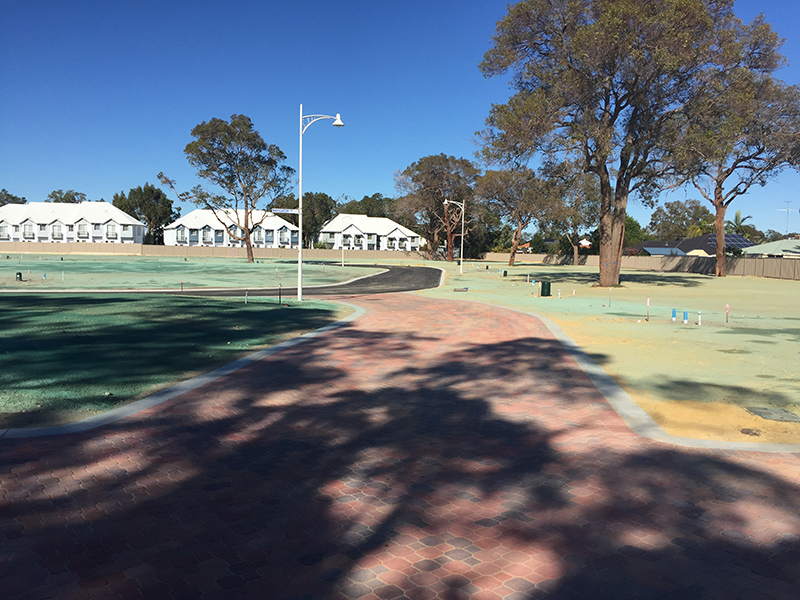 The project comprised of 35 Green Title lots. 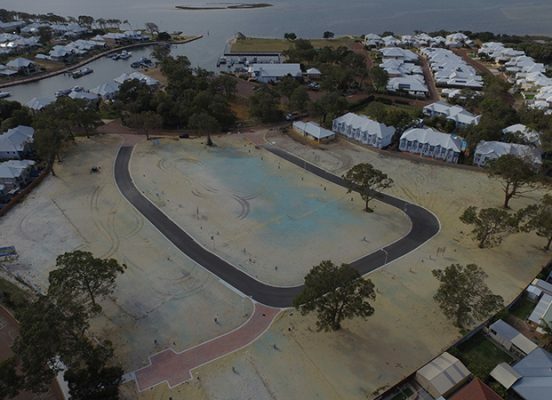 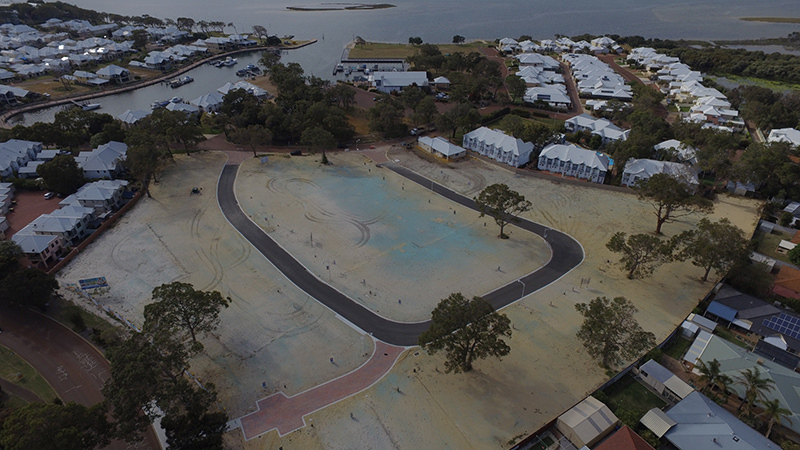 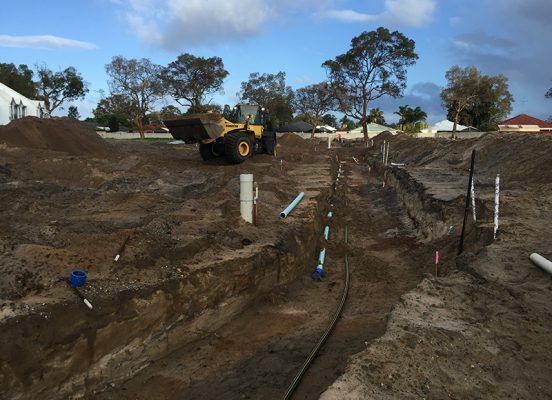 MGC Civil undertook site clearance, which involved clearing the entirety of the site with the exception of a number of mature trees nominated by the client, bulk earthworks, sewer and water reticulation, stormwater drainage, common trench electrical, gas and communications. 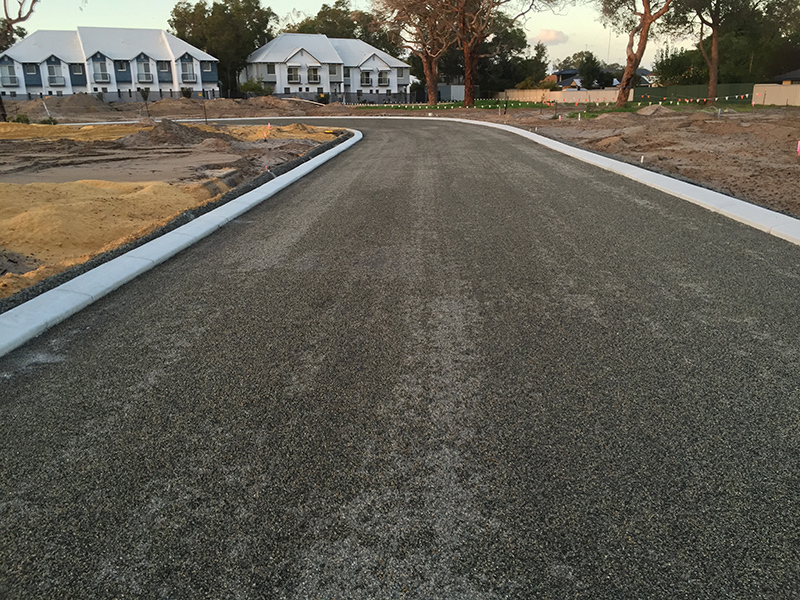 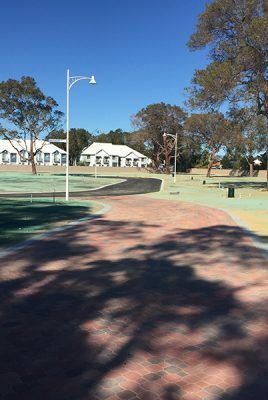 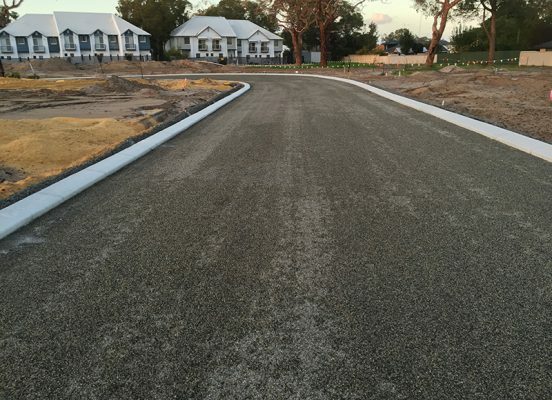 Full construction of all asphalt, concrete kerbing and footpaths and retaining walls. 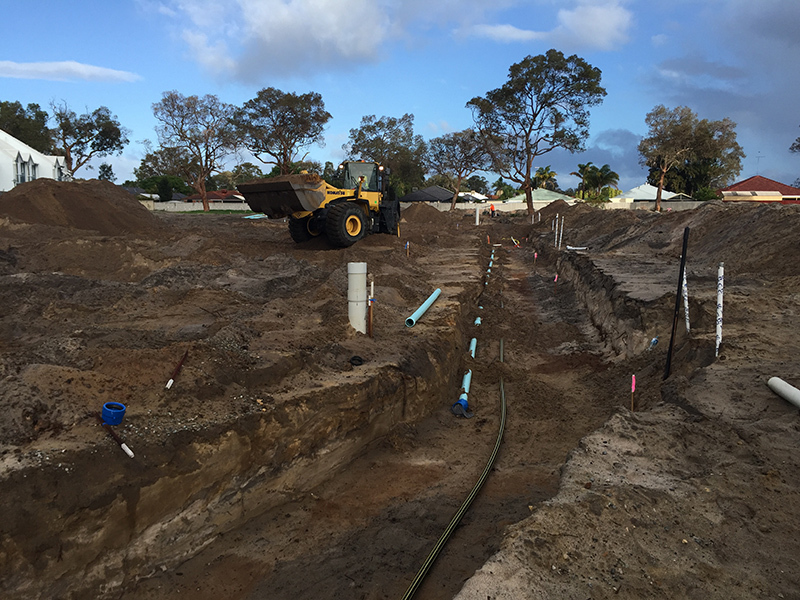 A major challenge for the MGC Civil team was the depth of services to be installed due to the sites close proximity to Quay and the tidal groundwater level. 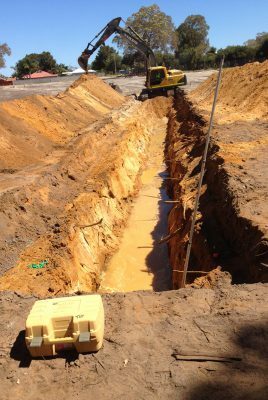 The sewer and stormwater infrastructure were 3m below the surface and up to 2m below groundwater level. 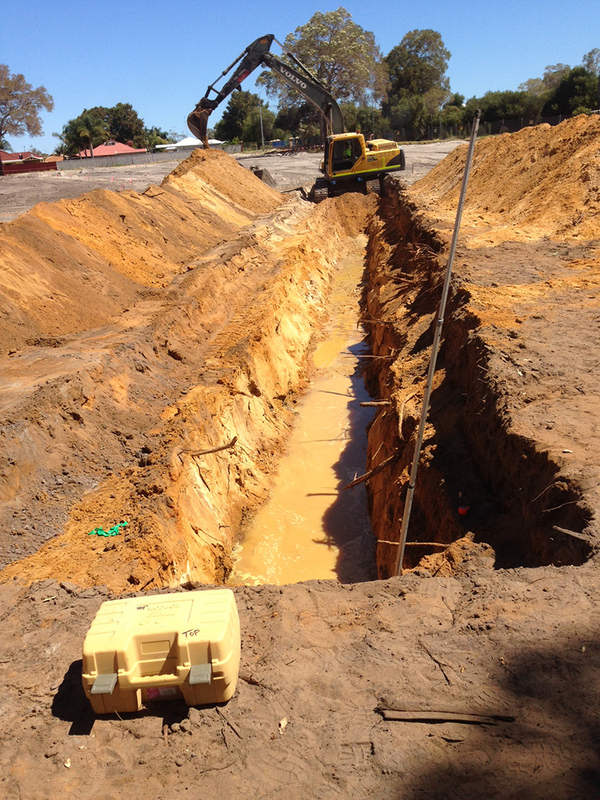 A large dewatering system including retention and filtration ponds was installed to mitigate this.